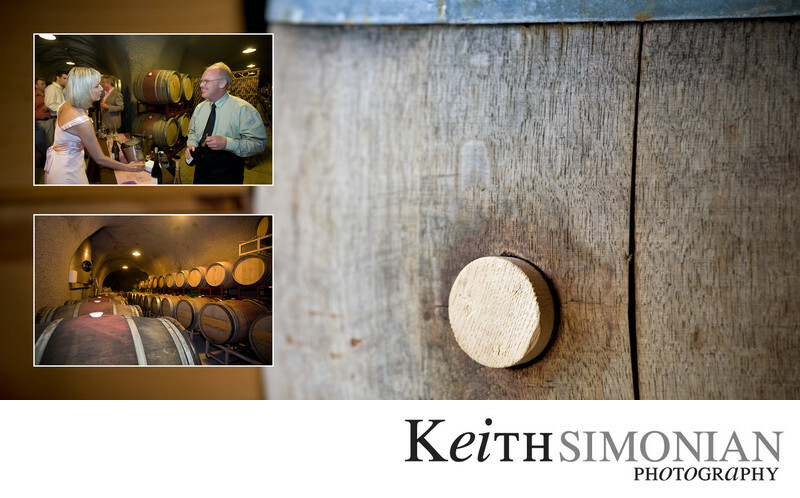 If you have a wedding at a working winery, there or course should be photos of wine barrels. This Nicholson Ranch winery also has space to enjoy a cocktail hour in the underground wine cellar. While the space can be a little tight for a large group, it certainly makes for interesting place to enjoy one's cocktails before the wedding reception. Location: Nicholson Ranch LLC 4200 Napa Rd Sonoma, CA 95476.